Title: CPL 2-2.38D - Inspection Procedures for the Hazard Communication Standard, 1910.1200, 1915.99, 1917.28, 1918.90, 1926.59, 1928.21. This version of the inspection procedures for the OSHA HazCom Standard is no longer valid. It is presented here solely for historical purposes and has been replaced by CPL 02-02-079 effective July 9, 2015. OSHA Instruction CPL 2-2.38C, October 22, 1990. Compliance Instruction, "Hazard Communication Standard: Documentation of Citations Related to the Exposure to Hazardous Substances and Consumer Products" dated March 21, 1995, to OSHA Regional Administrators from John B. Miles, Jr. Responsible Office. Office of Health Compliance Assistance. Action Offices. OSHA Regional, Area and District Offices, State Designees. Information Offices. Consultation Project Managers. OSHA Instruction CPL 2.111, Citation Policy for Paperwork and Written Program Requirement Violations, dated November 27, 1995. OSHAOSHA Instruction CPL 2-2.43A, Chemical Information Manual - Refer to the OCIS Chemical Information Database, dated July 1, 1991. OSHA Instruction STP 2-1.117, State Standards, dated August 31, 1984. Hazard Communication Standard (HCS), 29 CFR 1910.1200 was published in the Federal Register on November 25, 1983 (48 F.R. 53280). Action. OSHA Regional Administrators and Area Directors shall use the guidelines in this instruction to ensure uniform enforcement of the HCS. The Directorate of Compliance Programs, Office of Health Compliance Assistance, will provide support as necessary to assist the Regional Administrators and Area Directors in enforcing the HCS. State Impact. This instruction describes a Federal Program Change for which State adoption is not required. See paragraph I. Federal Program Change. This instruction describes a Federal Program change for which State adoption is not required. Background. A final Hazard Communication Standard (HCS), 29 CFR 1910.1200, covering the manufacturing sector, Standard Industrial Classification Codes (SIC) 20-39, was published in the Federal Register on November 25, 1983 (48 F.R. 53280). As a result of a court challenge, OSHA was ordered by the U.S. Court of Appeals for the Third Circuit to expand the scope of the standard without further rulemaking. On August 24, 1987, a final rule covering all employers was published in the Federal Register. Due to subsequent court and administrative actions, OSHA was prevented from enforcing the rule in the construction industry, and from enforcing in all industries, three requirements dealing with providing and maintaining material safety data sheets (MSDSs) on multi-employer worksites, coverage of consumer products, and the coverage of drugs in the non-manufacturing sector. As a result of the February 21, 1990, Supreme Court decision (see Dole, Secretary of Labor, et. al., v. United Steelworkers of America et. al., No. 88-1434), all provisions of the rule are now in effect for all industrial segments, including the three previously stayed provisions mentioned above. OSHA extended the compliance date until March 17, 1989, for programmed inspections in the construction industry. On February 9, 1994, OSHA published the final rule for Hazard Communication (59 F.R. 6126). This modified final rule included a number of minor changes and technical amendments to further clarify the requirements of the standard. Organization of this Instruction. Compliance guidelines are addressed within the main part of this instruction. Clarifications, interpretations, review aids and other information are provided in Appendices A through E. This directive will include references which will allow the interpretative provisions to be accessed through the OSHA Web Site. Appendix A of this instruction provides clarifications of provisions of the standard where significant interpretations have been necessary to ensure uniform enforcement and understanding. Appendix B provides a sample letter for inquiries regarding missing or deficient MSDSs and labels. Appendix C provides general guidelines for evaluation of hazards. Appendix D provides a guide for reviewing MSDSs. Appendix E provides a sample Hazard Communication Program. Inspection Guidance. Although the HCS contains some specification requirements, it is largely a performance-oriented standard. The standard establishes a goal that allows employers wide flexibility to develop a program suitable to their facility. CSHOs [Compliance Safety and Health Officers] should weigh particular HCS deficiencies in light of the effectiveness of an employer's overall hazard communication program. Citations should be written to reflect the degree that the employer failed to meet this goal and the hazard the deficiency represents. Name of the person preparing the hazard determination, written program, label, MSDS, etc., and the company for whom they work. CSHOs [Compliance Safety and Health Officers] shall ensure that the number of employees who may be exposed (including potential exposure or foreseeable emergencies) to the chemical in the establishment is documented. Health and physical hazards of the chemical. If practical, include a photocopy or a photograph of inaccurate and/or any incomplete label(s)/MSDS, or video footage of unlabeled containers in the case file. Otherwise document the specific deficiency in the case file. If the volume of inaccurate/incomplete MSDSs cannot reasonably be included in the file, then a representative number should be documented, indexing those referenced in the citation. A complete exemption from all requirements of the HCS applies for only those items listed under (b)(6) and should not be confused with the labeling exemptions at (b)(5). The (b)(5) exemptions only apply to chemicals which are subject to the labeling requirements of certain other [Emphasis ours - ILPI] Federal agencies. Laboratory coverage is dealt with in paragraph (b)(3). 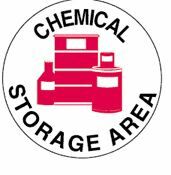 Work operations where employees only handle chemicals in sealed containers (such as found in marine cargo handling, warehousing, and retail sales) are covered to the extent as explained in paragraph (b)(4). What is/are the hazardous chemical(s) present in the product to which employees were exposed? What is/are the concentration(s) of the hazardous chemical present? Was the product included in the employer's hazardous chemical inventory? When available, include in the file the MSDS for the cited product to aid in determining coverage and intended use(s). (1)	The above instruction regarding consumer products cancels and supersedes the Agency's March 21, 1995, compliance instruction to OSHA Regional Administrators entitled, "HCS: Documentation of Citations Related to the Exposure to Hazardous Substances and Consumer Products." This document is included as Appendix A of OSHA Instruction CPL 2.111. What is the hazardous chemical in the item to which employees were exposed? 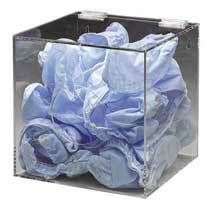 Was this item included in the employer's hazardous chemical inventory? What were the activities/operations that resulted in employee exposure to the hazardous chemical(s)? Did the release of the covered chemical(s) pose any potential physical hazard or health risk to the employees? Include a copy of the MSDS, where available, for the cited product. [Other] For both consumer products and items not meeting the article exemption, the specific hazardous chemical in the product/item shall be described in the citation. In the case of mixtures, the concentration of the hazardous chemical shall also be noted. For example, the Agency shall not issue citations simply stating that "glue" or "dishwashing liquid" was the hazardous consumer product or that "brick" was the hazardous chemical in a manufactured item. The citation must state the name of the hazardous chemical (for example, silica, methyl ethyl ketone, sodium hydroxide, etc.). Hazard Determination - Paragraph (d). 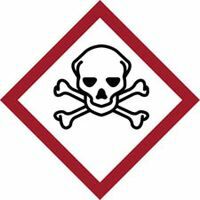 Only chemical manufacturers and importers are required to perform hazard determinations on all chemicals they produce or import, although distributors and employers may also choose to do so. Hazard determination procedures must be in writing and made available, upon request, to employees, the National Institute for Occupational Safety and Health (NIOSH), and OSHA. Appendix C is provided as a guide for use when assessing appropriate hazardevaluation procedures. Inspection Guidelines. The adequacy of a company's hazard determination program should be assessed primarily by examining the outcome of that determination; i.e., the accuracy and adequacy of the information on labels and MSDSs and by reviewing the manufacturer's/distributor's written hazard evaluation procedures. The written procedures generally describe the process followed; they do not have to address, individually, each chemical evaluated. The hazard evaluation must include an assessment of both physical and health hazards. The chemical manufacturer or importer must consider the potential exposures that may occur when downstream employers use the product, and address the hazards that may result from that use on the label and MSDS prepared for the product. Hazard determination procedures do not have to be maintained on site, consequently, the CSHO [Compliance Safety and Health Officer] may have to request them. The CSHO may allow the manufacturer (importer, distributor, employer) up to five working days to produce the procedures. In the event that there are any questions concerning the adequacy of the scientific data underlying a chemical manufacturer's hazard determination, the Area Director (AD) should refer those findings to OSHA's Salt Lake Laboratory for review. Citations for violations of paragraph (d)(1) shall be issued when the preparer has failed to perform a hazard determination. Paragraphs (d)(2), (d)(3), (d)(4), and (d)(5) of the standard shall be used, as appropriate. Failure to provide the hazard determination procedures within five working days shall result in the issuance of a citation under (d)(6). Written Hazard Communication Program, Paragraph (e). CSHOs [Compliance Safety and Health Officers] shall review the employer's written hazard communication program to determine if all applicable requirements of paragraph (e) have been addressed. The HCS obligates all employers, including those on multi-employer worksites, who may expose their employees (or employees of other employers) to hazardous chemicals to develop a written program. Labels and Other Forms of Warning. Designation of person(s) responsible for ensuring labeling of in-plant containers. Designation of person(s) responsible for ensuring labeling on shipped containers. Description of written alternatives to labeling of in-plant containers, where applicable. Designation of person(s) responsible for obtaining/maintaining the MSDSs. How the data sheets are to be maintained (e.g., in notebooks in the work area(s), in a pick-up truck at the jobsite, via telefax), procedures on how to retrieve MSDSs electronically, including back-up systems to be used in the event of failure of the electronic equipment, and how employees obtain access to the MSDSs. Procedures to follow when the MSDS is not received at the time of the first shipment. For chemical manufacturers or importers, procedures for updating the MSDS when new and significant health information is found. Designation of person(s) responsible for conducting training. Format of the program to be used (audiovisuals, classroom instruction, etc.). Elements of the training program - check to see if the written program addresses how the duties outlined in (h)(2) and (h)(3) will be met. Procedures to train new employees at the time of their initial assignment and to train employees when a new hazard is introduced into the workplace. Procedures to train employees regarding new hazards to which they may be exposed when working on or near another employer's worksite (i.e., hazards introduced by other employers). Additional Topics To Be Reviewed. Is a list of the hazardous chemicals part of the written program? Are methods the employer will use to inform employees of the hazards of non-routine tasks outlined? Do those methods include procedures regarding how employees will be informed of potential hazards at other worksites they may visit and at multi-employer worksites? Are employees informed of the hazards associated with chemicals contained in unlabeled pipes in their work areas? Does the written plan include the methods the employer will use on multi-employer worksites to provide other employers with on-site access to MSDSs? Does the plan include the methods the employer will use at multi-employer worksites to inform other employers of any precautionary measures that need to be taken to protect employees? For multi-employer workplaces, are the methods the employer will use to inform the other employer(s) of the labeling system used clearly described? Is the written program made available to employees and their designated representatives upon request? Where employees are exposed or potentially exposed to a hazardous chemical and labeling, MSDS, chemical inventory, and training requirements are met, but there is no written plan, violations of 1910.1200(e) shall be noted as De Minimis and no citations shall be issued. On multi-employer worksites (MEW), the CSHO's [Compliance Safety and Health Officers] should refer to enforcement policies for MEW in the FIRM. Employers on such sites who do not use hazardous chemicals but whose employees are exposed to the chemicals used by other employers are required to have a program and train their employees on the hazards of the chemicals in the work areas. If an employer fails to comply with this, the employer should be cited for paragraphs (e)(1) and appropriate sections of (h). Paragraph (e)(2) is used to cite employers on MEW who have a program but have failed to include the methods to be used to provide other employers on-site access to MSDSs, labeling systems used in the workplace, or to explain the precautionary measures which need to be taken to protect other employees on the worksite. Labels and Other Forms of Warning, Paragraph (f). Labels or other markings on each container must include the identity and appropriate hazard warnings, including target organ effects of the hazardous chemical. Labels on shipped containers must also include the name and address of the chemical manufacturer, importer, or other responsible party. CSHOs [Compliance Safety and Health Officers] shall determine that containers are labeled, that the labels are legible, and that the labels are prominently displayed. Labels must be in English. Labels and MSDS's may also be printed in additional languages. The CSHO [Compliance Safety and Health Officer] shall determine whether the label identity can be cross-referenced with the MSDS and the list of hazardous chemicals. 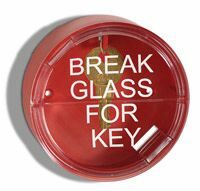 CSHOs [Compliance Safety and Health Officers] must consider alternate labeling provisions (for example tags or markings) for containers which are of unusual shape or proportion and do not easily accommodate a legible label. Guidelines for referrals regarding inadequate labels are dealt with in this instruction, see paragraph E.1.d. No citations shall be issued on paragraph (f)(11). An indefinite stay-of-enforcement has been placed on the requirement that manufacturers update label information within 90 days of becoming aware of significant information regarding the hazards of the chemical. OSHA will alert the regulated community at the time that the stay is lifted. 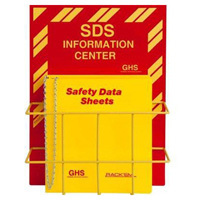 Material Safety Data Sheets, Paragraph (g). The standard requires chemical manufacturers and importers to develop or obtain a material safety data sheet for each hazardous chemical they produce or import. CSHOs [Compliance Safety and Health Officers] shall evaluate the compliance status of this provision by examining a sample of MSDSs to determine that the MSDSs have been obtained or developed and prepared in accordance with the requirements of paragraphs (g)(2)-(5) of the standard and to ensure that the information regarding the health and physical hazards is accurate. If MSDSs are not updated when new information becomes available, the initial hazard determination performed by the chemical manufacturer or importer is deficient. The CSHO [Compliance Safety and Health Officer] is to complete this review by following the procedures outlined in Hazard Evaluation Procedures, Appendix C, of this instruction. The CSHO shall also use available literature and computer references in the Area Office as well as Appendix D, Guide to Reviewing MSDS Completeness, in reviewing MSDS. Do employers have an MSDS for each hazardous chemical used? Does each MSDS contain information which adequately addresses at least [Emphasis ours - ILPI] the 12 elements required by the standard at (g)(2)(i)-(xii)? Are all sections of the MSDS accurately completed? The CSHO [Compliance Safety and Health Officer] shall ensure compliance with the MSDS transmission provisions of the standard by reviewing the chemical manufacturer's, importer's, or distributor's program for transmitting the MSDSs (including updated MSDSs) to downstream customers. Employers are not to be held responsible for inaccurate information on the MSDS/label which they did not prepare and they have accepted in good faith from the chemical manufacturer, importer, or distributor. CSHOs [Compliance Safety and Health Officers] shall take copies of any MSDS/label with inaccurate or deficient information back to the Area Office for referral to the appropriate State Plan State or Area Office. The Area Office within whose jurisdiction the upstream supplier or manufacturer is located shall then ensure that referral procedures outlined herein are followed. State Plan States shall follow referral procedures as required by the State. The Area Office or State Plan State to which the referral was made shall notify the referring office of the outcome of the referral. Area Offices should expect to receive requests from employers to assist them in obtaining MSDS or labels in situations when an inspection has not been conducted. If the Area Director determines that the employer has tried to obtain the information, and has not been able to do so, a letter and/or telephone call from the Area Office to the supplier or manufacturer is the appropriate action in this situation. In the event that the CSHO [Compliance Safety and Health Officer] needs MSDS information quickly as part of a current inspection, he/she may contact the manufacturer directly prior to making the referral to the AO in whose jurisdiction the manufacturer is located. Referral Procedures for Distributors. When a distributor has not received an MSDS from the supplier, the CSHO [Compliance Safety and Health Officer] shall recommend that the distributor write to the chemical manufacturer or supplier of the chemical. 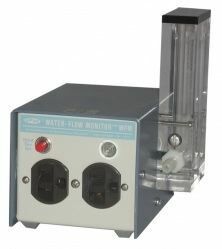 If the distributor fails to receive the MSDS within a reasonable period of time, for example, five working days, the Area Director shall follow the referral procedures outlined herein. Citations shall be issued to the employer only when MSDSs or labels are missing. Citations to manufacturer or importers for incomplete or inaccurate MSDSs or labels shall include an abatement requirement for the transmittal of corrected MSDSs or labels to all customers with the next shipment of the chemical. If MSDS or labels are missing or have not been received, the employer shall be cited unless a good faith effort has been made to obtain the information. If a citation is issued to the employer for lack of an MSDS/label and the employer has failed to document that a good faith effort has been made to obtain them, CSHOs [Compliance Safety and Health Officers] shall recommend that the employer write to both the supplier (distributor) and to the manufacturer for the MSDS or label. Any party who changes the label or MSDS (for example, changing the name or identity of the chemical) becomes the responsible party for the change regardless of whether they are a chemical manufacturer, distributor or employer. [Emphasis ours - ILPI] Where a distributor adds its name to an MSDS or label which is inaccurate or incomplete, but makes no other changes to the information on the data sheet or label, citations shall not be issued to the distributor. Distributors, however, who substitute their names on the MSDS or change it in any way become the "responsible party" and must be able to supply the required additional information on the hazardous chemical and appropriate emergency procedures, if necessary. [Emphasis ours - ILPI] Failure to provide the additional information will result in a violation of (g)(2)(xii) of the standard if noted upon inspection. CSHOs [Compliance Safety and Health Officers] shall cite (g)(1) whenever an inspection reveals that an employer does not have an MSDS. If an employer possesses an MSDS but it is not readily accessible to employees while in their work area, then a violation of (g)(8) shall be cited. Violations of (g)(8) shall also be cited when an employer using electronic access as an integral part of the hazard communication program does not have an adequate back-up system to address emergency situations. On MEW (multi-employer workplaces), citations for violations of (g)(8) of the standard shall be issued to the employer responsible for making the MSDS(s) readily accessible, as discussed below. A citation for violation of (e)(2)(i) shall be issued if an employer fails to include the methods by which the employer will inform other employers about on-site access to data sheets. For example, if an employer on a multi-employer worksite brings hazardous chemicals onto that site and fails to inform other employers about the presence of those chemicals and/or the availability of the MSDS(s), that employer shall be cited for violation of (g)(8) grouped with (e)(2)(i). Controlling Employer. If the employer uses a general contractor or other employer as an intermediary for storage of the MSDS(s), and that intermediate employer has agreed to hold and provide ready access to the MSDS(s), then the intermediate employer becomes the controlling employer, and is responsible for ensuring the availability of the MSDS(s). If the MSDS(s) are not available because the subcontractor failed to make them readily accessible, then the subcontractor shall be cited for violation of (g)(8). Employee Information and Training, Paragraph (h). The standard requires the training of all employees exposed or potentially exposed to hazardous chemicals. Training programs must be evaluated through program review and discussion with management and employees. Has a training and information program been established for employees exposed to hazardous chemicals? Is this training provided at the time of initial assignment and whenever a new hazard is introduced into work areas? Have all new employees at this location received training equivalent to the required initial assignment training? If electronic access to MSDSsis being used at a workplace, have employees been adequately trained to retrieve the information? Paragraph (h) requires that information and training be provided to employees regarding the hazards of all chemicals in their work areas including by-products and hazardous chemicals introduced by another employer, provided that they are known to be present in such a manner that employees may be exposed under normal conditions of use or in a foreseeable emergency. Who supervises/evaluates the work quality? What and where is the location of the work? If no form of employee training has been provided, citations shall be issued under (h)(1). Citations shall be issued under paragraph (h)(2) and (h)(3) of the standard, as appropriate, if there is a deficiency in an otherwise existing program. The employer is always ultimately responsible for ensuring that employees are adequately trained, regardless of the method relied upon to comply with the training requirements. CSHOs [Compliance Safety and Health Officers] evaluating MSDS and hazard determination programs may request disclosure of trade secret identities under paragraph (i)(12) of the HCS. OSHA shall take all steps feasible to protect trade secret identities, including secure filing and return of information when its use is complete. Non-emergencies. Health professionals are entitled to trade secret information when providing medical or other occupational health services to exposed employees. Likewise, the employees themselves and/or their designated representatives are entitled to trade secret information. If these individuals are denied access to trade secret information, the matter may be referred to OSHA for enforcement proceedings. As stipulated in the standard, OSHA should receive from the referring health professional, employee, or designated representative a copy of the written request for the trade secret information, as well as a copy of the written denial provided by the holder of the trade secret. These two written documents shall be reviewed by the Area Director to determine the validity of the request and the trade secret claim. The Regional Solicitor may be consulted to provide assistance in this regard. If the Area Director does not believe that there is enough information upon which to base a decision, he/she may contact either the trade secret requester or the trade secret holder for further information. Such requests shall be documented in the case file. 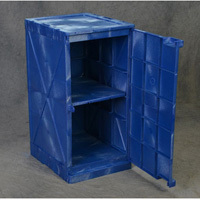 Avoid emergencies by storing your chemicals in proper safety cabinets from Safety Emporium. Non-emergencies. In response to non-emergencies, where OSHA believes that the chemical manufacturer, importer or employer will not be able to support the trade secret claim, the withholding of a specific chemical identity shall be cited as a violation of paragraph (g)(2). Where OSHA does not question the claim that a specific chemical identity is a trade secret, but the employer has failed to comply with paragraph (i)(1)(i), (ii), (iii) or (iv), or with (i)(2) or (i)(3), such failure shall be grouped with 1910.1200(g)(2), stating the deficiency in the AVD. For example, the employer claims a trade secret exists but failed to indicate on the MSDS that the specific chemical was being withheld for that reason, as required under paragraph (i)(1)(iii). Medical emergencies. For medical emergencies, failure to disclose the information shall result in the issuance of a willful citation, if the elements of a willful citation can be established. The chemical manufacturer will frequently be located under a different Area Office jurisdiction. Apparent violations shall be referred to the office of jurisdiction for investigation and the issuance of citations. Concurrently, the Area Director of jurisdiction shall coordinate obtaining an administrative subpoena ordering the immediate disclosure of the needed information. Federal Court Orders shall be sought immediately if the administrative subpoena is not effective in obtaining the information. Classification and Grouping of Violations. The procedures in the FIRM shall be followed except as modified by this instruction. Citations for violations of paragraphs (e), (f), (g) and (h) of the standard shall be issued as separate items only when there is a pervasive lack of compliance with the Hazard Communication Standard. Otherwise specific guidance in this instruction shall be followed. Generally HCS violations shall be classified as non-serious. Serious violations shall be issued only when the deficiency can contribute to a potential exposure capable of causing death or serious physical harm. In addition, the CSHO [Compliance Safety and Health Officer] must document that the employer knew or should have known of the violation. Documentation of a HCS violation for a chemical manufacturer or importer could be in the form of a referral generated as a result of OSHA's observation of conditions of use resulting in employee exposure to the hazardous chemicals at a downstream user's workplace. Interface With Other Standards. In some cases, an employer's duties under other OSHA standards dovetail with requirements of the HCS, resulting in simplified compliance. "Material safety data sheets and paragraph (c)(5)(iv) records concerning the identity of a substance or agent need not be retained for any specified period as long as some record of the identity (chemical name or trade name, if known) of the substance or agent, where it was used, and when it was used is retained for at least thirty (30) years." Employers might simplify their responsibilities as they relate to the overlap between these two standards by incorporating the requirements under 29 CFR 1910.1020(d)(1)(ii)(B) with those for the HCS paragraph (e)(1)(i). That is, the list of hazardous chemicals could include information on where chemicals were used and when they were used. These lists would then have to be kept for at least 30 years. Section (e)(4) of the HCS requires employers to make the written hazard communication program available upon request to employees, their representatives, OSHA or NIOSH, in accordance with the requirements at 1910.1020(e). The standard, 1910.1020(e), requires the employer to provide a copy of the requested record (in this case, a copy of the written hazard communication program) "in a reasonable time...but in no event later than fifteen (15) days...." Some employers have incorrectly interpreted this to mean that they have 15 days to produce a copy of the written program and make it available at the worksite. The intent behind the (e)(4) requirements of the HCS is to allow the employer up to 15 days to provide a written (photo or other) copy of the program to employees who request it. This does not mean the employer has 15 days in which to get the program to the worksite for employees to access. The written program must be available to employees at the worksite at all times, as per 1910.1200 (e)(1). 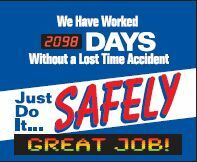 Take care of your OSHA 300 obligations with this handy record keeping center from Safety Emporium. 29 CFR 1910.1450, Occupational Exposure to Hazardous Chemicals in Laboratories. Quality control laboratories are usually adjuncts of production operations and are not covered under the Laboratory Standard, but are covered under the HCS. 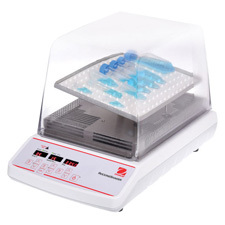 For laboratories covered under the Laboratory Standard, the requirements of the HCS are superseded (the more specific standard, 1910.1450, takes precedence). Both the training and information and the hazard identification requirements of the Laboratory Standard are more extensive than the HCS laboratory requirements. Other Health Standards. Paragraph (f)(4) of the HCS references labeling requirements of substance-specific standards. Employers must comply with these substance specific standards. For example, the ethylene oxide (ETO) standard provides a different labeling requirement than the HCS. Labels do not have to be affixed to containers of ETO unless the product is capable of producing employee exposure at or above the action level of 0.5 ppm as an 8-hour time weighted average (29 CFR 1910.1047 (j)(1)(ii)). The official, public domain, OSHA version of this document is available at https://www.osha.gov/pls/oshaweb/owadisp.show_document?p_id=1551&p_table=DIRECTIVES.